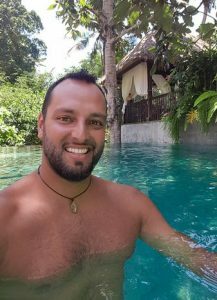 Raj just returned from enjoying a month in Bali – beach, food, and healing. 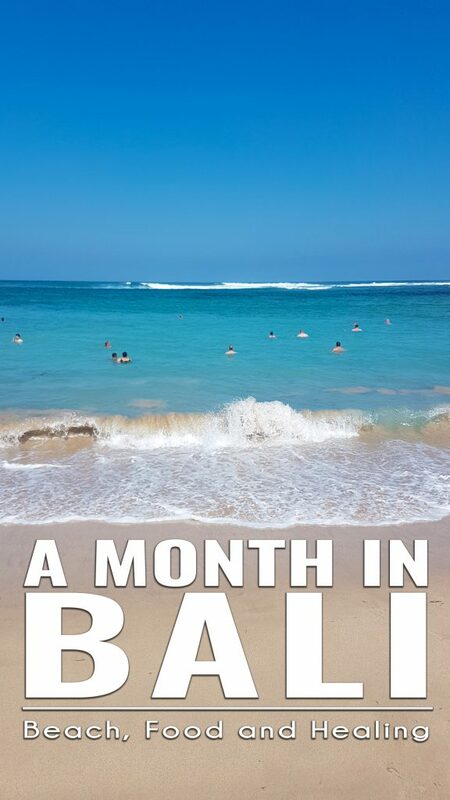 Read about some of his stories, tips, and recommendations for exploring Bali. 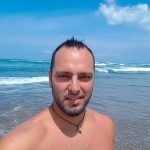 This isn’t a “How to Travel Bali” or even a “Where to Eat in Bali”, though I will throw in a few of those tips. No, this is more about to interesting experiences I had and general tips. I’ll also be focusing mostly on Ubud, Bali. First of all, there are a ton of ways to see and Bali. Want to stick to the resorts, spas, and perfect sand beaches? Easy. Do you want to snorkel and scuba dive? Beauty. 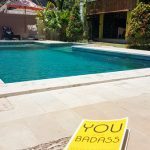 Are you interested in moving there as a digital nomad? There are a few different areas where this is very popular. Want to surf? You got it. 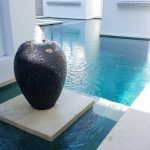 Interested in healing energies or yoga retreats? Your options are unlimited. And yes, you can learn about the indigenous culture and lifestyle, and how it’s different than the rest of Indonesia. My biggest recommendation is to be open to whatever finds you. 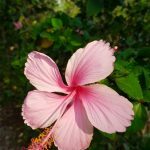 Food, people, healers, classes, yoga, meditation, surfing – whatever! Go for it. Right away there are a few things that you notice. There are temples everywhere you look. 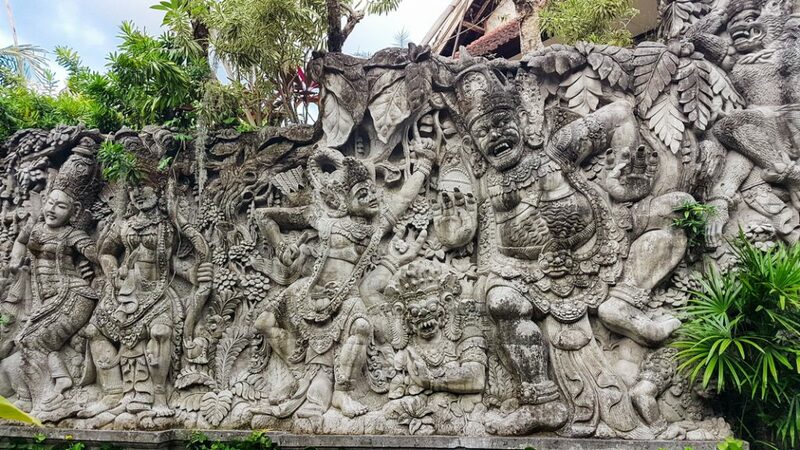 This is because the Balinese Hinduism (unlike the rest of Indonesia which is the largest Muslim-dominated country in the world, approximately 85% of people in Bali are Hindu) really shapes the culture in Bali. You will see house, business, and community temples all with statues, decorations, incense, and offerings. 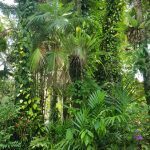 As with most tropical places, there are a lot of intense smells – both good and bad. 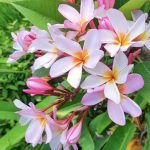 My favorite flower, frangipani (aka plumeria) is abundant everywhere, but the smell of hot garbage can sneak out of seemingly anywhere. 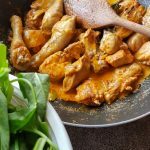 You can find delicious food at any budget. 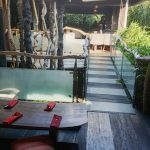 Eating at a local warung with locals will have you satiated for only a few dollars, but there are high-end restaurants where you can spend $100s for a multi-course meal paired with wine or cocktails. It’s hot. I asked a buddy how to stop sweating so much. He jokingly told me to stop drinking liquids and just let my body run out of sweat. 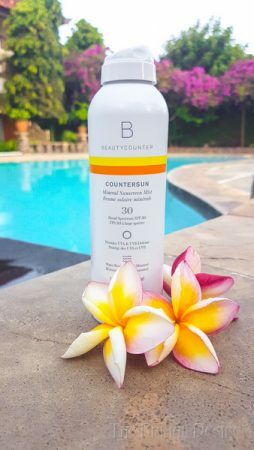 Even though the high was right around 30°C (86 °F) every day, the sun was quite intense – DO NOT forget your Beautycounter sunscreen. Do not drink tap water. The water is not treated and even locals do not drink the water. 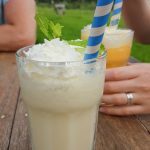 The nice thing is that you don’t need to worry about ice in drinks (regulated by the government), and most expats find that they are ok brushing their teeth with the tap water, but make that choice for yourself. But if you take a water bottle with the right kind of filter, like Clearly Filtered Water Bottle or Life Straw Water Bottle, you can safely drink the tap water (or use it to filter the plastics out of bottled water). Garbage. This is one of the problems I really struggled with in Bali. 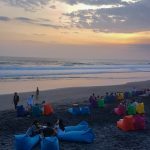 Bali does not have the infrastructure to deal with garbage – their own garbage, let alone the increased garbage from tourists. I did get a little hope for the future when I was told about some programs in place to improve the situation. Fingers-crossed. Scooters are the preferred mode of transportation. If you’re comfortable with driving one, this is the easiest and most affordable way to get around. Do so at your own risk though: traffic patterns are not like those in the western world. 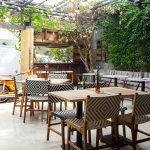 Cool cafes and “good vibes” spaces are abundant. There are tons of really cool spaces to eat and hang out in. Don’t limit yourself to just one! 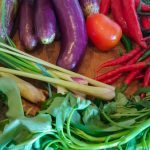 On my trip to Thailand 6 years ago, I did some local cooking classes which help introduce local traditional dishes and a better understanding of local ingredients. 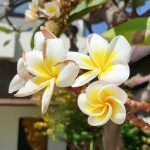 I think this is a great way to learn about areas and cultures and did the same thing in Bali. There are many options and a wide range of prices, so pick something that is appropriate for you. But definitely, do this! 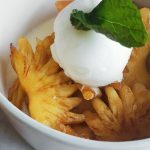 They are really good about adapting to dietary needs, but I like to try everything in their true form and then adapt afterward when at home. “Bali Belly” is the term for travel diarrhea in Bali. Sure, you may lose 5-10 lbs in a hurry, but is doing it on the toilet for days really the way you want to do it? Of course, there are the standard ways of avoiding travel diarrhea (eg. only drink bottled/filtered water, be careful with street vendors *not my style*, be careful with fruits and vegetables washed with tap water, eat at places that are popular with a high turn-over to avoid foods that have been sitting around and reheated, etc. ), but I also recommend taking Just Thrive Probiotic with you. 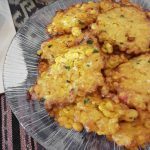 I am an adventurous eater and I am rarely cautious about street vendors. 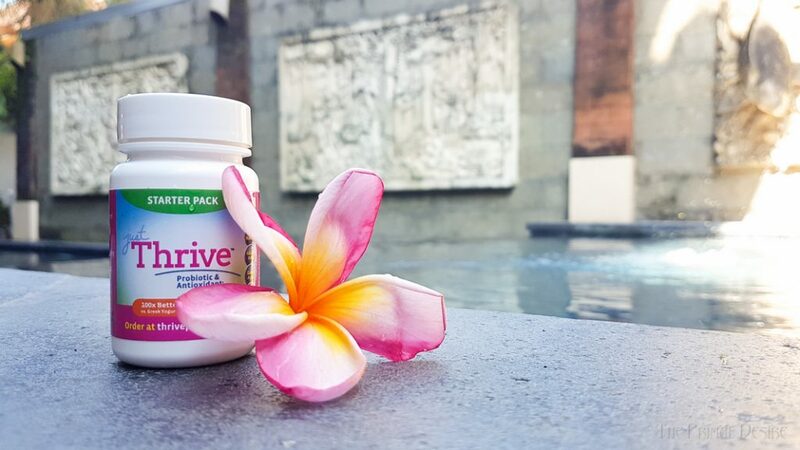 Just Thrive boosts the good bacteria in your gut and helps protect you from microbes that cause travel diarrhea. 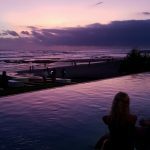 I started off on the West coast and spent a few days in a beautiful villa with friends in Canggu (pronounced “Chang-gu”). “The Gu” has a very So-Cal feel. 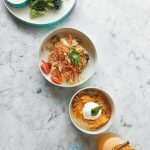 “Balifornia” has surfing, beach clubs, and tons of expats – many from Australia, so you can find a lot of paleo food options here. This is probably where you’re going to go for the perfect white sand beach resorts. 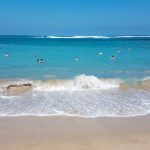 I only spent a day to relax on Nusa Dua Beach. 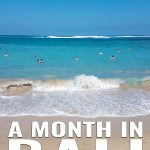 I didn’t go to a ton of beaches, but I found a site with more information about top beaches in Bali. I knew before getting to Bali that I wanted to spend a lot of my time in this area. 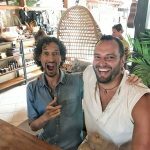 I have a friend who lives in Ubud and knew that this was the region that attracts yogis, healers, and bohemian-hippie-type energies. 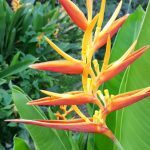 There are many touristy things to do in the area – Monkey Forest, sunrise volcano walk, souvenir shopping in the markets, photos in the rice fields, as well as waterfall hikes, and day-trips to beaches. But what attracted me to this area was the spiritual energy and self-improvement/healing culture. 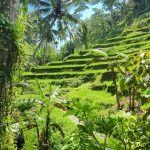 Getting past the tourism and finding the community that exists in Ubud was my main reason for being here – that and to experience the healers. Ubud exists as this magical bubble full of open-, like-minded people. 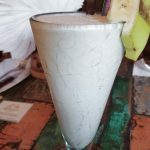 There are many entrepreneurs, healers, connection and health teachers, and yoga instructors. The Yoga Barn is a very cool hub of the community. I was blown away while walking through the grounds for the first time. I refer to it as Mecca for Yogis. 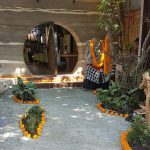 There are yoga classes, yoga instructor programs, ecstatic dances, mala making workshops, breathing workshops, musical performances, heart talks, cacao ceremonies, Ayurvedic therapies, meditations, and all sorts of other events and opportunities here. 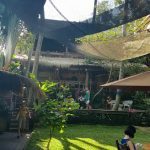 It’s a great place to find out about other things going on in Ubud and to connect with other people in this space. I found it difficult to get any work done in cafes because I would always end up in fascinating conversations with the people next to me. Interesting events, recent discoveries, entrepreneurial endeavors, experiences with healers, and mind-blowing experiences that can be pretty woo-woo – but that’s the thing: everyone has incredible stories and it feels like a safe place to tell your stories to strangers without judgment! 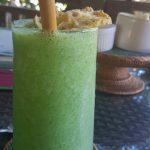 That in itself was one of the highlights about Ubud for me. You’re probably wondering what kind of experiences and therapies I checked out. Anything that I could fit into my day! Guided meditation with the priestess Manis, Shiva Shakti Devotion Workshop, yoga and Ecstatic Dances at The Yoga Barn, a couple healers, blessing from a priest, cacao ceremony, breathwork workshops, water purification ceremony at the Hindu temple, past life regression therapy (tell Esther I sent you), splurging on myself at an Ayurvedic spa, and… pedicures lol. It was quite the adventure! Did I feel cured of my pain by the healers? No, but that’s not to say that I didn’t benefit from seeing them. And regardless of the result, all of these activities were cool experiences. And those cafés I mentioned? There are so many really cool spaces! 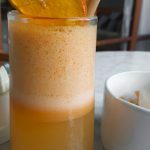 Clear Café is a great example. Seriously: click on that link to look at photos. It seemed like every-other café had the kind of esthetic that would crush it here at home. I would spend all my time at a place like this at home. Do you know what one of the key features is that I find makes an enormous difference? It’s not even about esthetic: comfortable seating. Why does that seem to be such a difficult thing to figure out in North America? 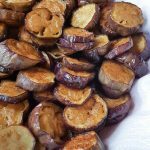 The raw-vegan culinary scene is impressive. Like, I was left without craving meat after a meal, and wondering how to make a lot of the things I had. For example, Sayuri, a raw food café had a “Reuben” sandwich that I probably had 5 or 6 times! It’s not my style to eat the same thing over and over – I’d typically explore the menu – but this eggplant based sandwich with cashew pesto, avocado, sauerkraut, and 1000 island dressing was amazing! Don’t worry: There is no lack of incredible meat dishes. And if you’re looking for high-end culinary experiences, I have two recommendations: Locavore and Hujan Locale. You can find photos of food from each on our Instagram stories. Everywhere you look there are gelaterias. Yeah! Gelato everywhere. 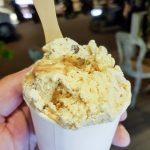 I grabbed sample bites from a bunch of them. 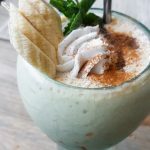 But what I did have all the time, was milkshakes and smoothies. At like every-other meal… And I still lost 5 lbs while I was there hahaha. The area I did go to for snorkeling was Amed. It’s on the coast, east of Ubud, close to the volcano Mount Agung (which erupted in July of this year). It is a beautiful drive to Amed, through the jungle, along the coast, with views of the volcano and far fewer tourists. 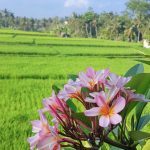 Amed was described to me as an area that resembles what the rest of Bali looked like 5 years ago – before Bali grew to become the number one tropical tourist destination in the world. The key reason that I wanted to see Amed was the ocean life and coral. I snorkeled the whole time I was there. It’s healthier with less pollution than some other places around Bali. I saw some lionfish, beautiful corals, and many colorful fish that I haven’t seen before including a fish I called a Holley-fish because of its pattern including black and white strips and black and yellow leopard print. Holley claims that it’s too many patterns for her to wear at the same time but a) I’m sure I’ve seen her do it and b) this fish made it work. 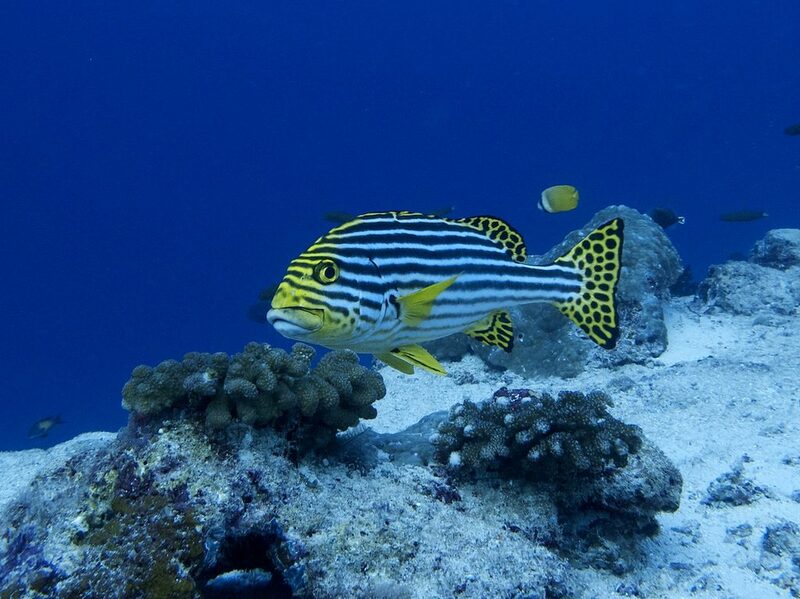 I found out later that it is called an oriental sweetlips fish. I had initially wanted to hit up the Gili Islands for a few days for snorkeling, scuba diving, and exquisite beaches. Google images of this area are amazing! But… There have been a number of earthquakes in Indonesia in the past few months (including one on my last night in Bali – which I think I was the only person on the island who slept through it) and the Gili Islands have been affected by them. 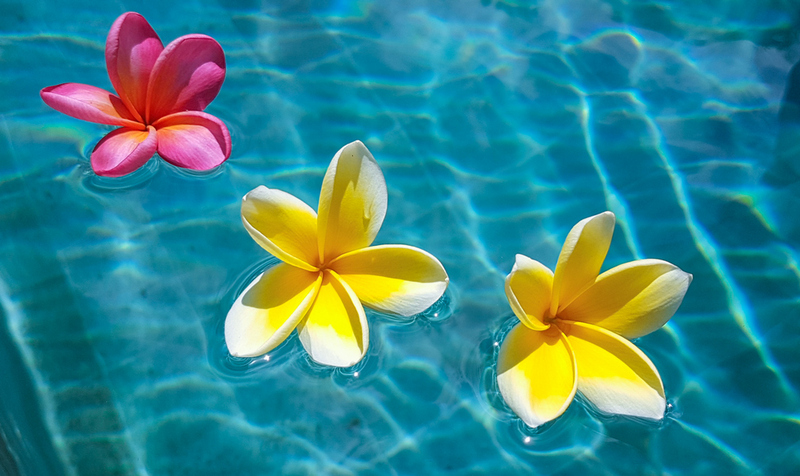 I would love a quick visit to the Gili Islands some day. 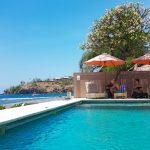 I did do a day trip to Nusa Penida. If you have more time, stay there or one of the neighboring islands for a night or two – the day trip was a little disappointing for a few reasons: a) the day I went it was too wavy to get to Manta Bay (which was the main thing I wanted to do) and the other snorkel sites that we were supposed to go to, and b) the rest of the day was mostly spent driving through the jungle on a very rough road to see some beautiful spot which we then didn’t have much time to spend enjoying. Photo, drive, photo, drive… Check out this site for ideas of activities and places to explore on Nusa Penida – and give yourself the time to actually enjoy it. It’s only been a few weeks since I’ve returned to Canada, but my tan is already almost gone, I got strep throat the day I got back, and my body has given up on the early mornings I was doing in Bali. Ubud and Bali, in general, is a place that I would love to spend a lot more time in in the future. What do you think? Will you join us if we put on a wellness retreat on this beautiful island? Where to next? I don’t know. The only thing planned is Austin TX for PaleoFx 2019 next April, which we would love to hang out with you there (get your tickets now! 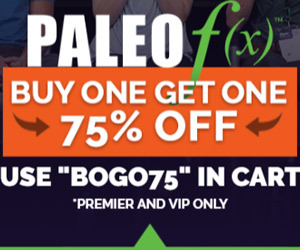 Use discount code BOGO75 at checkout). Iceland? Vietnam? Greece? Or return to one of the amazing places I’ve already been? We’ll see.